Mac OS provides the option to set the application dock to auto-hide and show when you need it. 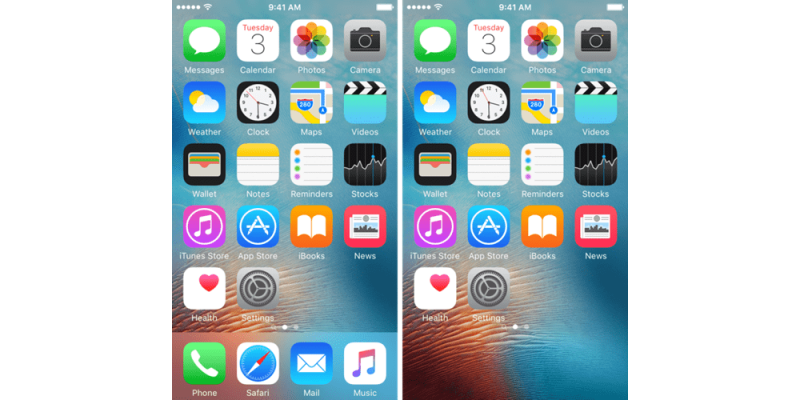 A new tweak called Shydock lets you hide or show your iPhone’s Home Screen dock on demand, using an Activator action. So, if you have a jailbroken iPhone or iPad you can get the awesome ability to show the Home Screen dock only when you need it. Once you install Shydock, you can customize its option from the tweak’s preferences pane available in the Settings app. The animation duration text field lets you change the hide and show dock animation duration. 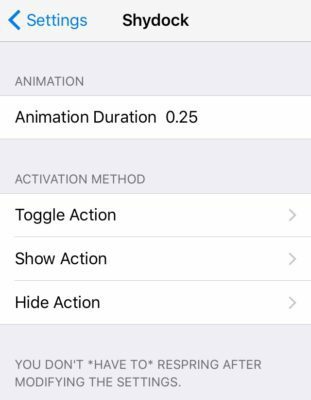 Also, you can choose between three Activator gesture selectors. Toggle Action both hides and displays the dock every time you invoke it. Show action only shows the dock if it’s already hidden, and Hide Action only hides the dock when it’s already visible. Unlike other tweaks, if you change any of these options they will be applied instantly with no need to respring your device. With that taken care of, you can return to the Home Screen and use the Activator gesture you set to hide or show the dock as needed. The ability to hide or show your iPhone’s Home Screen dock on demans can be useful if you like to have a clutter-free Home Screen as it keeps the dock out of sight until you actually need it. If you find ShyDock interesting, you can use it on iOS 9 jailbroken devices and it can be downloaded from Cydia’s BigBoss repo. Keep in mind the tweak also needs Ryan Petrich’s Activator extension. Have you tried ShyDock and do you find it useful? Share your thoughts in the comments section.